Is your future uncertain due to restructuring or downsizing? Are you getting enough training in your current position to advance in your career? Could you use one resource to market you to every sector of this industry? Health Tech Talent Management, LLC is your solution providing the expertise and resources to place you into that right opportunity! Backed by 23 years of experience in Talent Acquisition and Placement which focused for the last 19 years in the industry, you have come to the right place! Due to that focus, Health Tech Talent Management, LLC has built a strong relationship base from Hospital Systems, Service Organizations, OEMs (Original Equipment Manufacturers), and the Military. 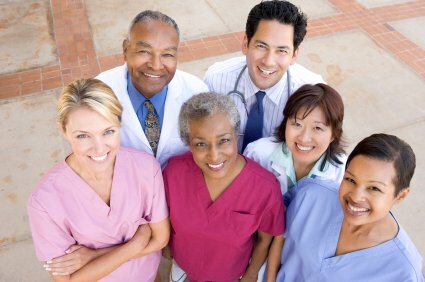 With Specialty Areas in Radiology for Imaging Service Engineers or Managers and in Biomedical for Technology Managers or Technicians, here is the Career Placement resource you have been looking for! Career Placement: With Health Tech Talent Management, LLC having the main service offering be Talent Acquisition and Placement, the focus will be on you and your career options! This service provides a “no cost to you” vehicle to market yourself to every sector in Medical Equipment Service. Health Tech Talent Management, LLC is your true business partner for the entire Career Placement cycle. This is from your initial marketing presentation to employers, assistance in interviewing effectively, and through the hiring and onboarding of your new Career Placement! Health Tech Talent Management, LLC has Group Training Seminars and Workshops available on Technical Resume Writing, Interviewing Techniques, and Selling Yourself in This Economy! Payment fee structure for this service varies upon selection and length of that service. Career Advising: Service to determine candidate interest and career desires. Advisement on what is the next career step and what is needed in your “box of tools” to get there! This is a free service offered to client candidates as part of the Career Placement process! Resume Critiques: Entice employers to want to meet and interview you! Expert critiquing and rewrite service on resume content and layout! This is a free service offered to client candidates as part of the Career Placement process! Interview Training: Make that great first impression with employers so you stand out! Techniques from the preparation stage, handling of technical and/or behavioral questions, to “closing the deal” to ensure that happens! This is a free service offered to client candidates as part of the Career Placement process!